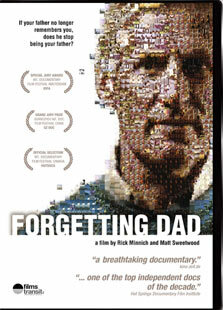 "Forgetting Dad" is in English and is available in 84-minute and 59-minute versions. DARK HOLLOW FILMS and worldwide through FILM PLATFORM. A 59-minute version is also available upon request. Please contact us at info@rickfilms.de. For other screenings, speaking engagements, interviews and other matters please contact us at info@rickfilms.de and join our Facebook page. You can also follow Rick on Twitter(@rickminnich).